The time is ten thousand years ago and the place is the shores of Lake Champlain, a land inhabited by Abenaki communities who hunt, gather, and follow the cycles of their unspoiled natural world in relative harmony. Joseph Bruchac, a nationally renowned storyteller and writer of Native American tales, uses this setting not just to spin a compelling adventure yarn but also to re-create with grace, fullness, and clarity the cultural, social, and spiritual systems of these pre-contact Native Americans. 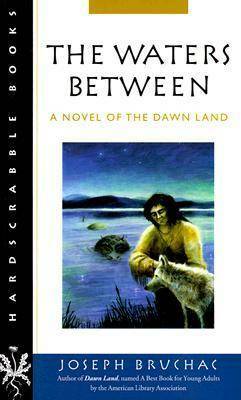 In this third novel of his trilogy about the"people of the dawnland," the lake they call Petonbowk -- "the waters between" Vermont's Green Mountains and New York's Adirondacks -- holds both sustenance and danger, and Young Hunter, the "young, broad-shouldered man whose heart was good for all the people," is called upon to confront a dual menace. A "deepseer" or shaman, he must use his full powers first to comprehend the threats and then to defeat them. The lake, it seems, holds a huge water-snake monster that makes it impossible to reap the waters' bountiful harvest of fish and game. And, worse, a tortured outcast, Watches Darkness, has turned against his tribe and is using his deepseer's knowledge to perpetrate horrible acts of senseless evil: he destroys whole villages out of sheer malevolence; he literally eats his victims' hearts to absorb their powers; he kills his own grandmother without remorse. As the tension between hunter and hunted mounts, Bruchac seamlessly weaves stories within the story, the lore that connects the people to each other and to their heritage, so that the novel becomes not just an archetypal battle of good versus evil but a vivid depiction of traditional New England Indian culture in pre-Columbian times. Richly atmospheric, resonant with Native American spirituality, melodious with the rhythms of the Abenaki language, The Waters Between paints both an epic quest and a colorful portrait of"the lives of people living as human beings were told to live by the Talker. Never perfect, often failing, but always growing, always part of something larger than themselves, their varied heartbeats meshing together to make the one great, healthy heartbeat which was the Only People."